I made these flapjacks earlier in between doing chemistry work and going to a chemistry lecture (4-5pm on a Friday, yuck! ), when I was in need of something much more fun to do; the units for next semester however seem a great deal more interesting (and actually related to nutrition) though so I'm really looking forward to starting that and learning more on the subject! 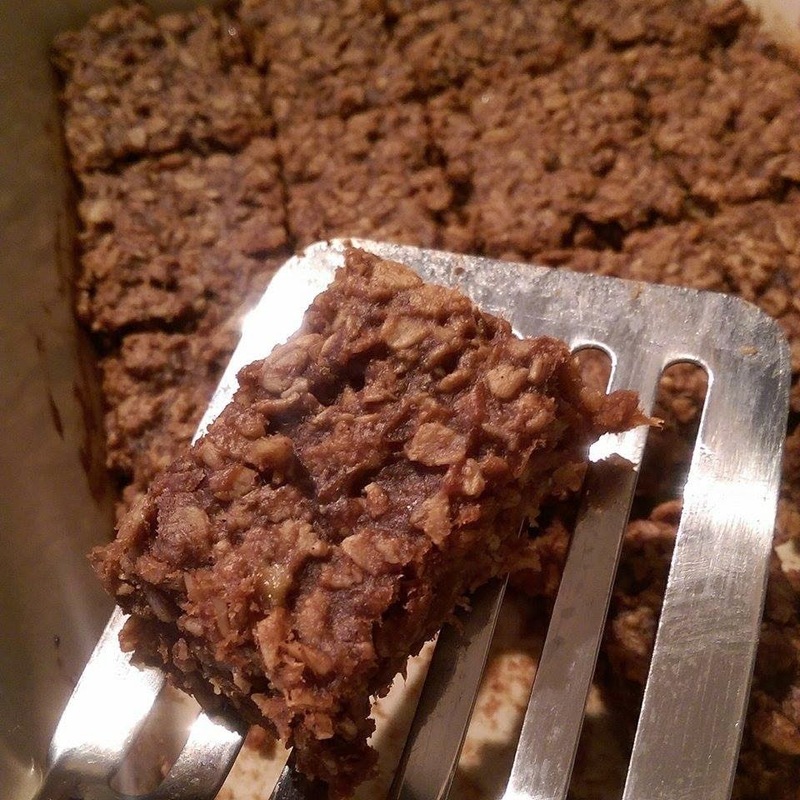 I brought a few flapjacks along to today's the lecture and ended up giving them to my friends; two of which are vegan and one vegetarian and they most definitely approved these (described as "amaaaaaazing")! I completely made up the recipe as I went along for these, using the 4 different nut butters (all Meridian) I have, this recipe is also refined sugar and gluten free. In the saucepan mash the bananas with a fork before adding in the coconut oil, dates, cocao and nut butters and heat gently, stirring all the ingredients together until combined. 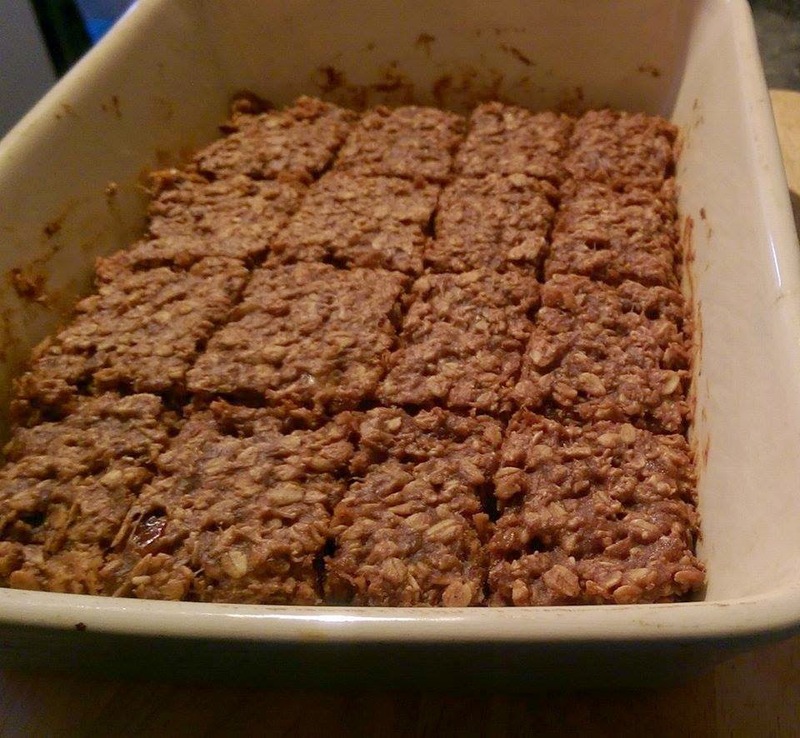 Add in the oats and mix together thoroughly, then transfer the mixture into the baking tray and smooth out.